For the second year in a row a giant Russian nuclear powered submarine will sail to the naval parade in St. Petersburg. A 155-meter long wide-body submarine of the Oscar-II class will join the naval parade in St. Petersburg this summer, internet newspaper Neva Today reports. The submarine, which can carry 24 cruise missiles and is powered by two reactors, will participate in Russia’s annual naval parade on July 29. A total of 40 navy vessels will line up for the parade, most surface warships like the newest frigate “Admiral Makharov” and the missile cruiser “Marshal Ustinov”, TASS reports. Last year, the only remaining Typhoon submarine “Dmitry Donskoi” sailed from the White Sea, via Severomorsk, to the St. Petersburg parade. Being the world’s largest submarine, the voyage made headlines in most Scandinavian media as the vessel sailed in surface position all way. Also under the Great Belt bridge in Denmark where people lined up to take photos. 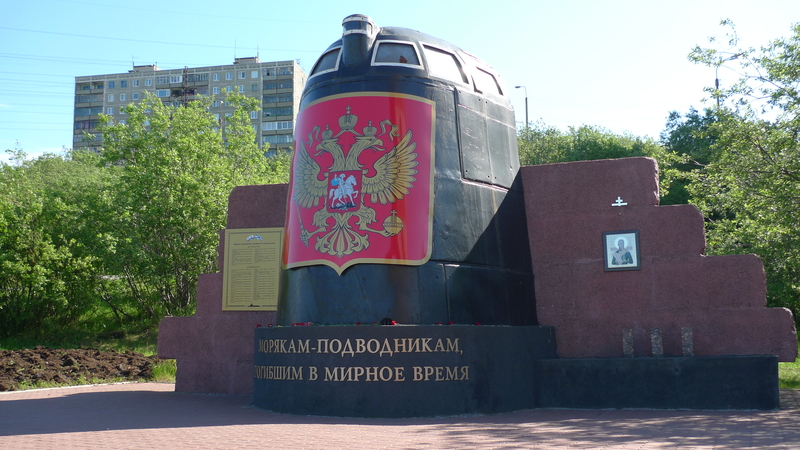 The Northern Fleet has three Oscar-II submarine sin still in service, “Voronezh”, “Smolensk” and “Orel”. It is not said which of them will sail to St. Petersburg. The three subs are from 26 to 29 years old. On August 12th, 2000, the Oscar-II class submarine “Kursk” sank in the Barents Sea, killing all 118 on board. The submarine sank after a torpedo exploded inside it’s tube, triggering a larger fire and explosion blowing up the entire front part of the submarine. Russia’s military TV channel Zvezda in February reported about a planned replacement of the cruise missiles on the Oscar-II submarines from Granit to the more modern Kalibr.